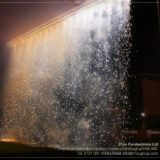 We have a wide range of indoor and outdoor fountain effects. 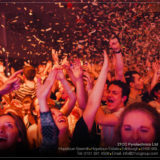 They are very different. 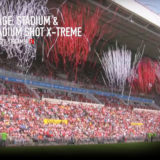 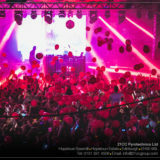 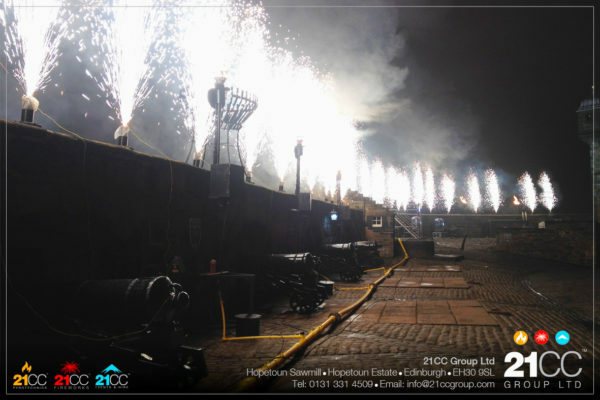 Whether you are having a small indoor private party, a rock concert, sporting event or a national celebration, we will work with you to produce an effect that is appropriate, dramatic, safe and exciting. Our indoor fountain effects are designed for use inside buildings and venues for close proximity working. 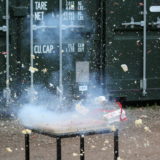 These are typically a cold fall out product. 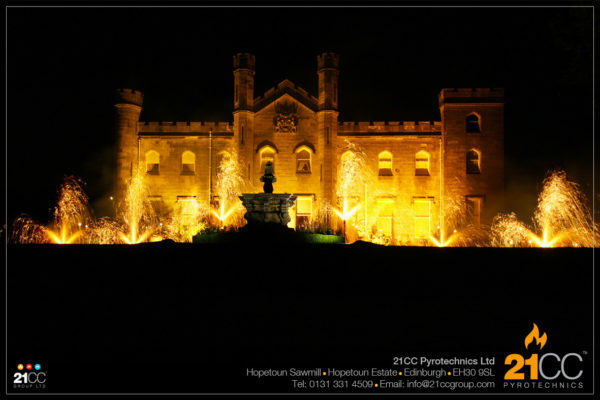 Our outdoor fountains are enormous and burn hot. 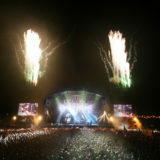 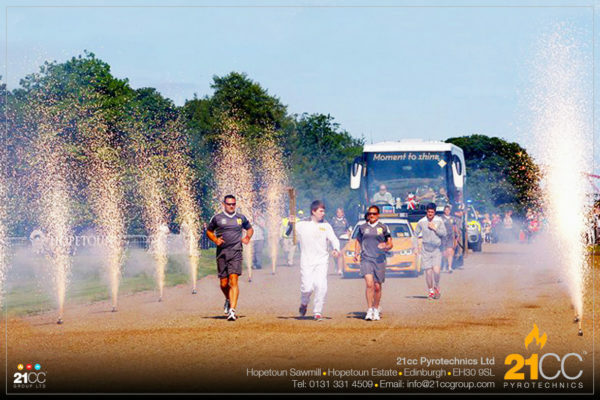 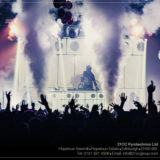 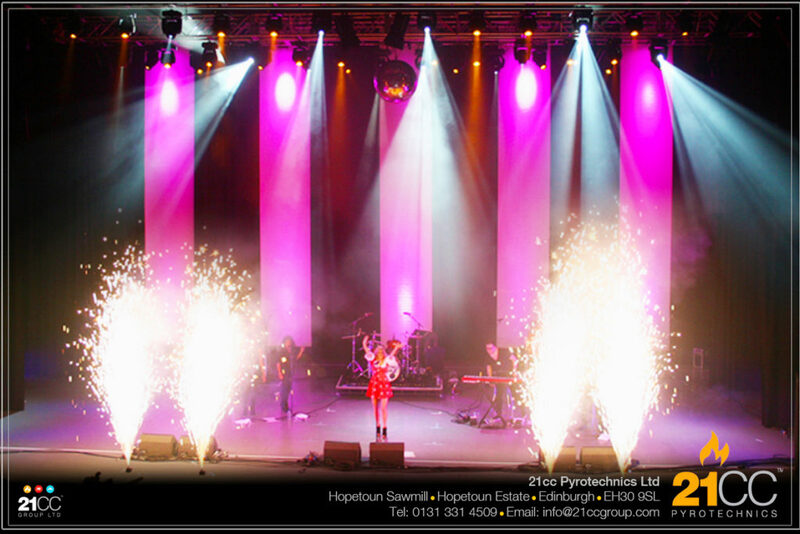 With our wide range of fountain effects, we will almost certainly have something in our range of units for your event. 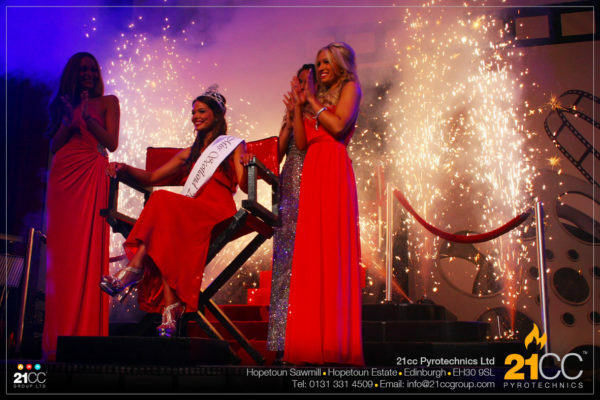 With our fountain effects we can vary the height and the duration of the effect to suit the occasion. We can change the colour of some effects from silver to gold as well as changing the height of the product part way through the burn. 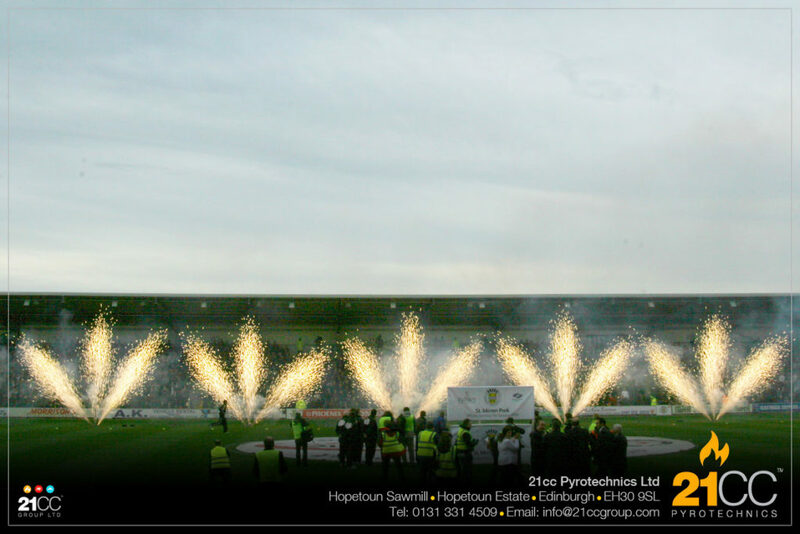 This gives the fountain set piece a mini finale. We also have some effects that are called ‘cold fall out’, which means that you can literally walk through them as they burn! 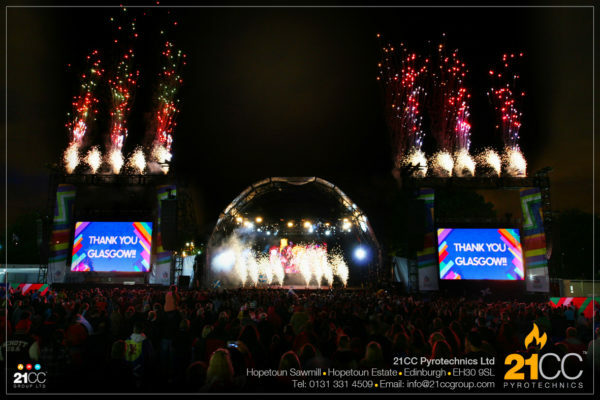 This flexibility of product makes them the perfect choice for a big entrance or finale to a concert, corporate event, award ceremony, photo shoot or celebration indoors. 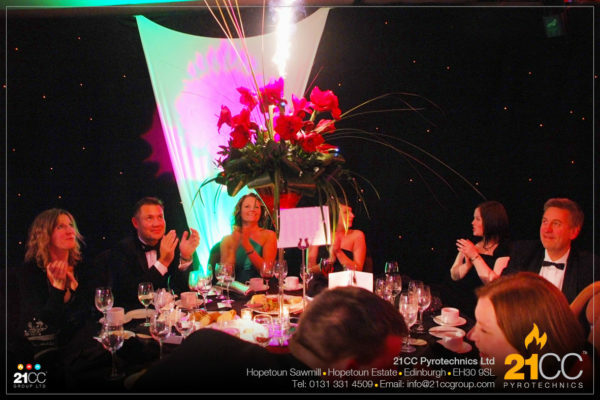 We have a range of small wireless firing cue systems, which enables us to hide specially designed small fountain units around your venue or on within the flower arrangements within table top fountains. We call them Table Top Ice Fountains! 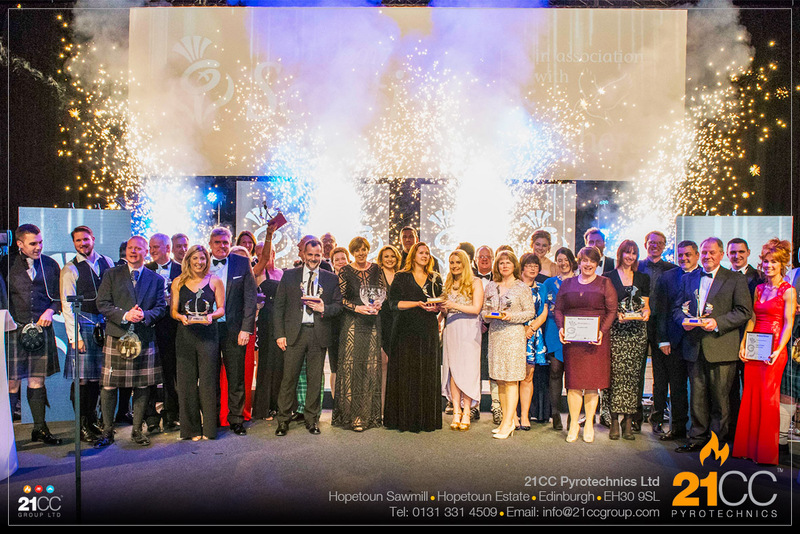 These hidden fountains create a fabulous effect whenever the fountains are set off, surprising your guests and lighting up the room in celebratory style. 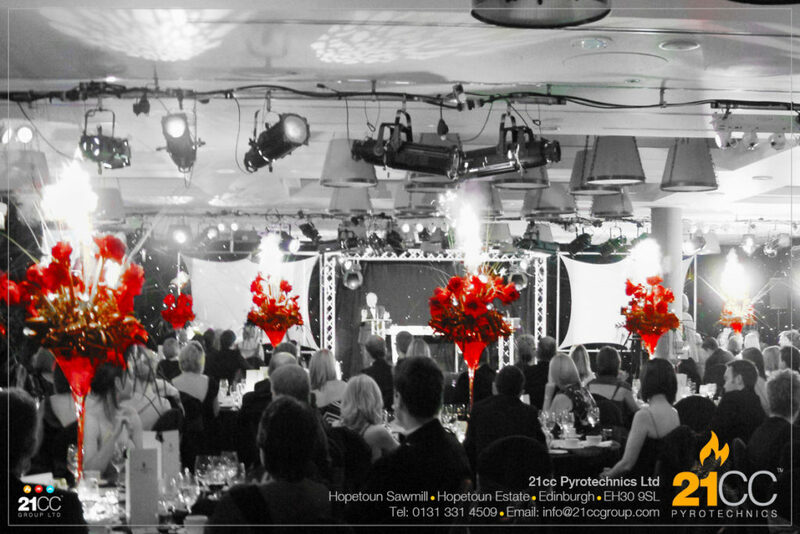 Perfect for both corporate events, speeches, award ceremonies and weddings. 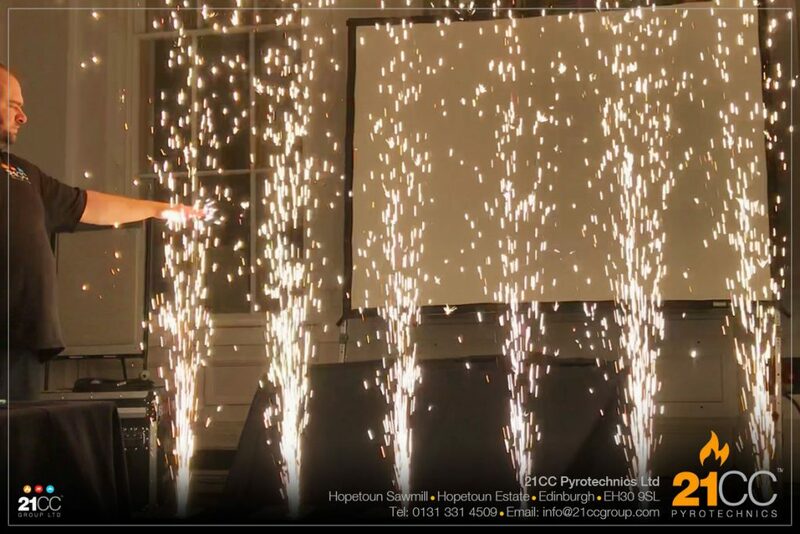 Watch our Indoor Fountain Fireworks (Table Top Ice Fountains) in action at a range of events in our video showreel. 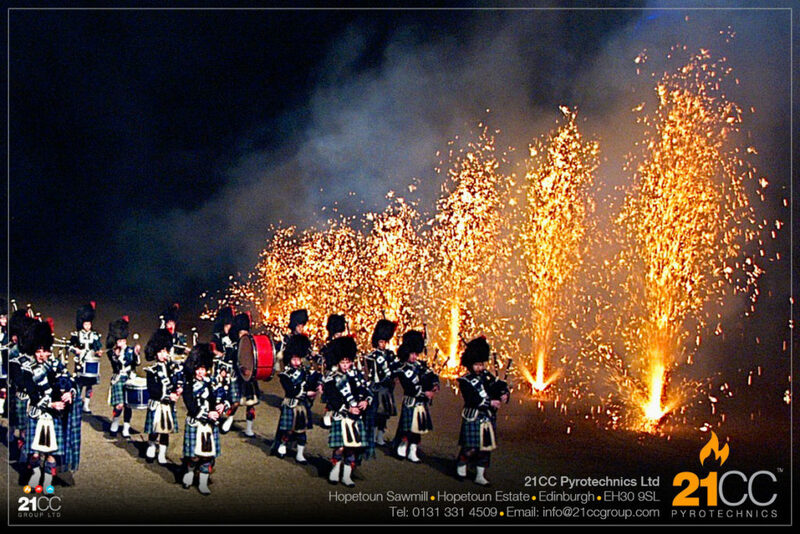 If you are having a pipe band and looking to amaze your guests and onlookers, our outdoor pipe band fountains will make this finale set piece extra special. 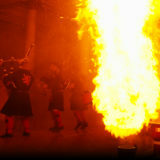 We call these pipe band fountains our Fire Tunnel Fountains! 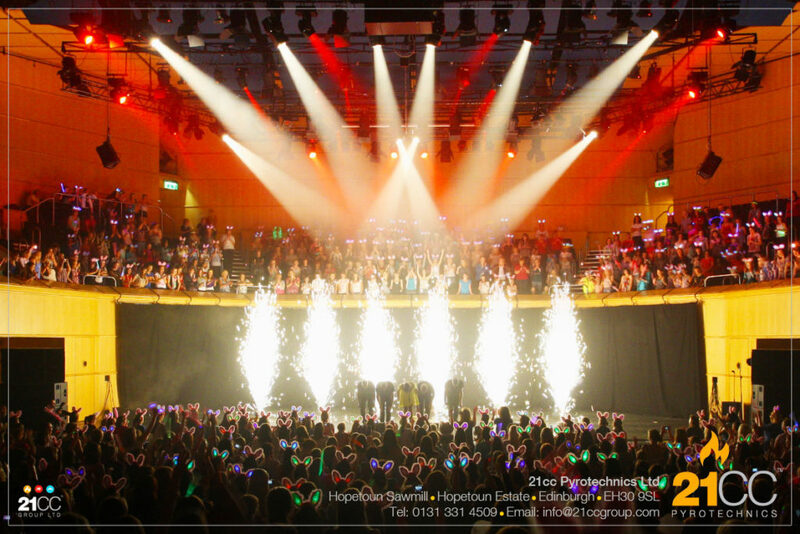 As your band strike up their finale set piece, we will lift a huge array of fountains simultaneously surprise your guests and create that stand out moment. 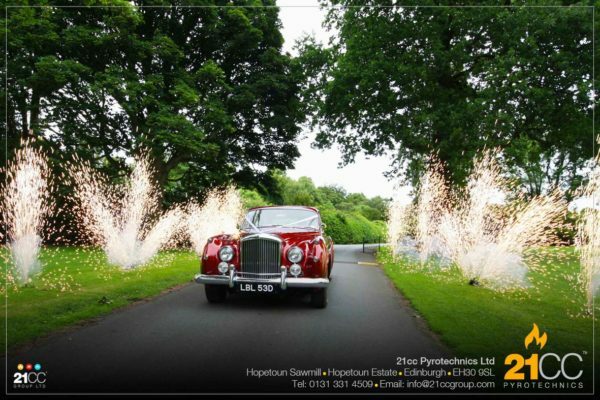 We also have a perfect fountain effect for weddings! These are indoor fireworks, which we call Cake Cutting Fountains! 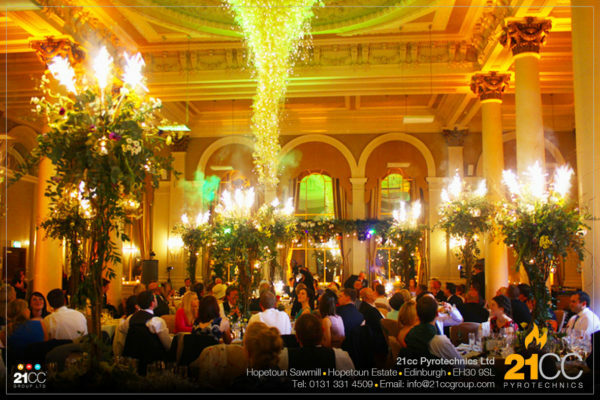 You can have these beautiful indoor wedding day fountain units for your first kiss, cake cutting, group photo or your first or last dance. There are so many ways you can use our wedding day Cake Cutting Fountains to create that special moment of celebration. Check out our video showreel to see what we mean! 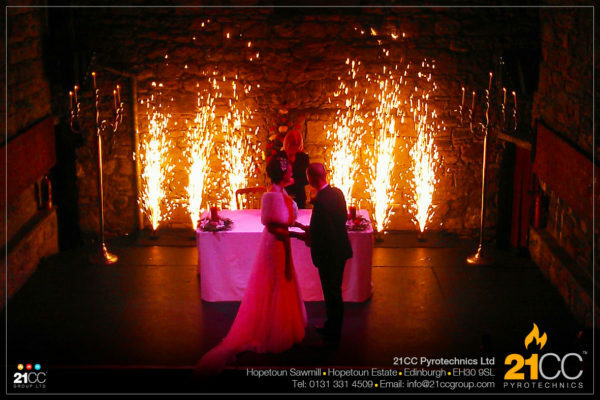 If you wish to mark a significant moment during your celebrations why not try our fantastic Sparkular Fountains to create a visually stunning array of sparkling gold or white light. Our Sparkular fountains are easy to set up and remove without disturbing your guests. 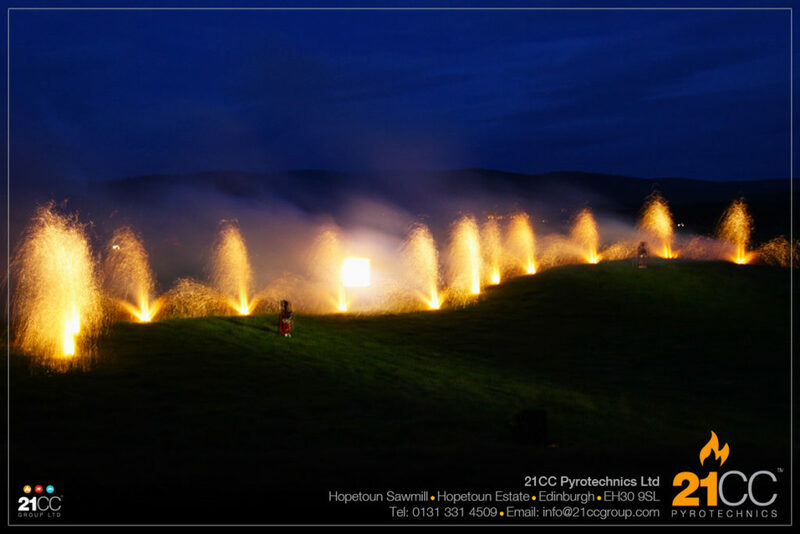 Unlike regular fountains which burn for around 60 seconds, our Sparkular Fountains can last for up to 11 minutes depending on your requirements. 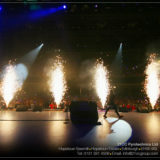 Not only that but they emit very little smoke and absolutely no heat! Our fountains can help create a fantastic photo shot to mark the cutting of your cake or your first dance. 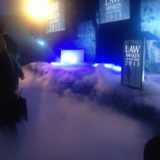 Imagine walking over a cloud as part of your on-stage set or filling your venue with a low level creeping fog to set the scene before you and your guests arrive? 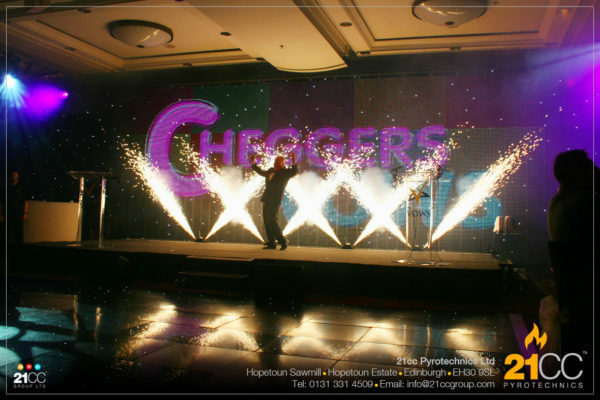 Our low level perfect way to get your guests talking.